Several years ago, PIJAC Canada had developed a series of specialized workshops to add to our members and non-members continuing education and knowledge. The objective of these workshop was to review in more detail topics and information related to specific pets. Since then, we have started the online conversion of these programs to make them available to all. This program is the first of four (4) specialized programs being converted to our online platform. People dealing with dogs on a regular basis need to have a clear understanding on how dogs behave and why. 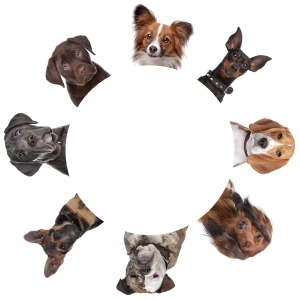 Knowing how genetics, environment and learning affect a dog’s behaviour will better equip dog professionals as well as dog owners in handling, training and managing behaviour. Learning to decipher canine body language and communication will help the human-canine relationship function in a more respectful and peaceful manner. Our Dog Talk program is designed to help people, who work with dogs or who encounter dogs on a daily basis, increase and refine their knowledge so that they can offer the best and safest care possible. Earning a Dog Talk attestation is an excellent way to show to your clients your dedication to the well being of their dogs. Click here to view the table of contents of the Dog Talk program. If you wish to receive additional information regarding the content, please contact programs@pijaccanada.com and we will be happy to help. Members receive one (1) free education program per membership term by using their Member PIN. To receive your PIN, please contact programs@pijaccanada.com. Participants can also purchase individual licenses for their staff at a cost of $20 per license for members and $50 for non-members. The program can be completed depending on the dedication you put towards studying the material. On average, participants can complete the study material as well as the included online exam in 4 + hours. The open book exam is included. It is comprised of multiple choice questions for each modules. Once you click on the exam section of the program, you have 30 days to complete and submit it. Answers are saved and you can logout and login without losing your progress. Exam results are sent directly to our office. When do I receive my Dog Talk attestation? Once the exam results (70% or higher) are received, we will issue a attestation that will be sent to you in the mail. Depending on mail speed and location of recipient, the certificates are usually delivered within 2 weeks of receiving exam results.